Where is the "Add to CustomerHub" action? These instructions will explain how to get the "Add to CustomerHub" action in a new or existing campaign. 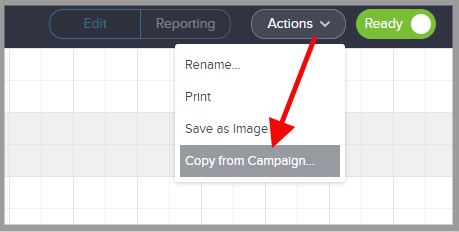 Now that the "Add to CustomerHub" sequence process has been removed from the Campaign toolbar there are two options to get that process into a new or existing campaign sequence. Go to the Infusionsoft Marketplace and search for "CustomerHub" campaigns. Once installed, all of these campaigns have the "Add to CustomerHub" process. NOTE: THIS OPTION WILL REPLACE ALL CONTENT THAT IS IN THE SEQUENCE YOU ARE COPYING TO. If you have content (ie. emails) you would like to preserve, make a duplicate of the sequence prior to these steps. If you already have a working campaign that registers customers to your CustomerHub, you can easily copy that sequence to a new or existing campaign. Create a new sequence or open an existing one. Now you have the "Add to CustomerHub" process in a new sequence and you can build out the rest of your automation.